Our daughters are our inspiration. We must never stop working for a cure. 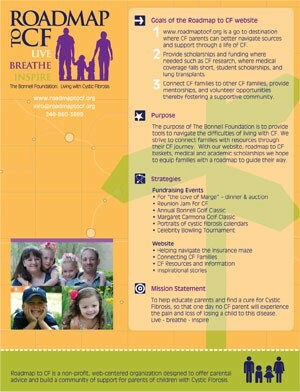 To give emotional and/or financial support to parents who have a loved one with cystic fibrosis. Our hope is one day no CF parent will experience the pain of losing a child to this disease. 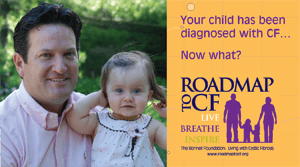 The purpose of The Bonnell Foundation is to provide tools to navigate the difficulties of living with CF. We strive to connect families with resources through their CF journey. With our website, roadmap to CF baskets, academic scholarships and medical grants we hope to equip families with a roadmap to guide their way. When I was 12 years old I knew I wanted to be a news reporter. It was all I ever wanted to do. I was born to report the news, to tell other peoples stories. I thoroughly enjoyed my television and radio career (and still am). I felt I was making a difference in peoples lives. And it is fun. I went jogging with President Clinton (until my nylons ran and he left me in the dust). I have met politicians (then Attorney General Janet Reno), rock stars (Ted Nugent, Joe Perry and Mitch Ryder), national news correspondents and ABC News Anchor Peter Jennings. The list goes on, but truly the best stories I wrote and broadcast were those about people trying to make a difference in the world. Then suddenly, I had a story to tell. Fifteen years ago, when Molly was born, my purpose in life was clear. 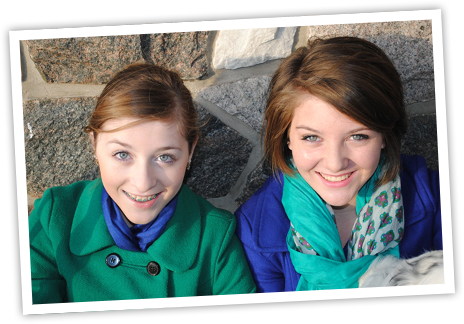 Molly (and later Emily) were diagnosed with cystic fibrosis. We were shocked to learn they had CF. We had no idea we were carriers. 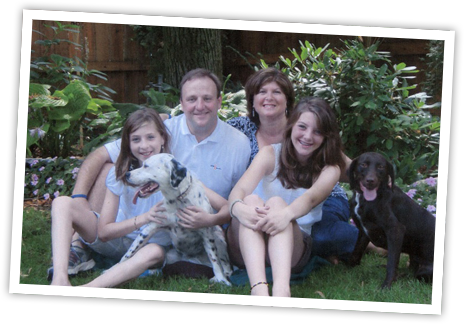 Joe (my husband) had 7 siblings who didn’t have children with CF. Before I even realized I was a CF carrier, I was raising awareness about CF. Taking a break as a reporter/anchor I worked for the Washtenaw United Way. Interestingly enough, the one year I was there, was 1989. I had no idea at the time how what I’m about to tell you, would change my life forever. We were putting together a promotional piece for the United Way. I met Jeff, a 24 year old man with CF who was working on research at The University of Michigan. In 1989, the doctor in charge was none other than Dr. Francis Collins. Collins was responsible in part for discovering the gene that causes cystic fibrosis. I was there, to witness this and organize a press conference! It was an exciting, exhilarating day to be at U of M. All the Detroit media gathered for a news conference to interview Dr. Collins. I had no idea what lied ahead in my life. I was dating my future husband and we had no idea we were CF carriers, and would later have two girls with CF. Back in radio news, at WWJ Newsradio 950, I first had Molly and then Emily. Our pediatrician, who we adore to this day, thought I was crazy when I suspected Molly had CF. But i insisted she be tested. When the doctor called I was heading to a breaking news story. She said I should pull over and I knew what she was going to tell me. Our baby had CF. Joe and I cried for one day and then we said, “what do we need to do to live with CF?” And so it began, slowly. Our daughters are our inspiration. We must never stop working for a cure. This is when I asked for and got help from my peers in radio, television and the print media. Public Service Announcements aired on TV and radio stations. Newsworthy stories about CF were written in the print media and airing on TV and radio stations. A celebrity baseball game featured then Detroit Police Chief Ike McKinnon (with several other police officers) against TV personalities WXYZ’s Mary Conway, Joanne Purtan, Cheryl Chodun and Kim Adams to name a few. The Portraits of CF calendars also came about, featuring children and young adults with CF, showing their strength, in spite of the disease. They are our inspiration. 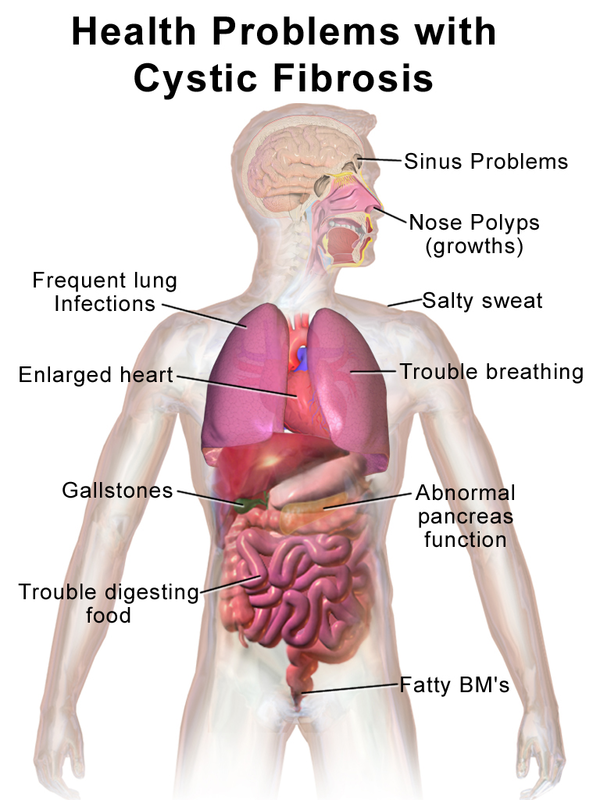 Cystic Fibrosis is a genetic disease that causes fatal and chronic lung infections and interferes with digestion. The life expectancy today is the mid-30’s. There is no cure. But funding research, and perfecting medications will help people with CF live long lives. Thirty thousand people in the United States have Cystic Fibrosis.